Dr Anastasia Apostolou is an excellent Psychiatrist, with over 10 years’ of experience working with adults suffering from acute and chronic Mental Health Issues. She has a medical degree, PhD, and is a Member of the Royal College of Psychiatrists. Dr Apostolou has experience in acute and chronic problems in adult and liaison psychiatry, and works with patients suffering from a wide range of diagnoses, including psychosis, depression, anxiety, trauma and relationship difficulties. She offers a collaborative approach providing assessment, diagnosis and a treatment plan and as well as follow-up to her patients. In addition to her General Adult Psychiatry Training, Dr Apostolou has a completed the NHS training in Medical Psychotherapy, thus obtaining a Certificate of Completion of Training by the General Medical Council. She has experience in providing a range of therapies including Psychodynamic and Systemic Therapy; she has also trained in Mentalization Based Treatment, Cognitive Behavioural Therapy, and offers this to individuals, groups, couples, families and parent-infant pairs. Dr Apostolou also offers a confident medico-legal service, capable of covering several mental health areas: depression, psychosis, trauma and post-traumatic stress disorder, capacity to instruct and behavioural difficulties and has long-term experience in working with people living with personality disorders. Described by her peers as an excellent psychiatrist and colleague, Dr Apostolou is dedicated, hard-working & manages her clients’ needs with a confidential and caring approach. 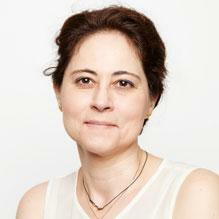 Clinical Partners are delighted to welcome Dr Apostolou to our London team. You don't need a GP referral to see Dr Anastasia Apostolou.